Every Leader Hits the Wall. 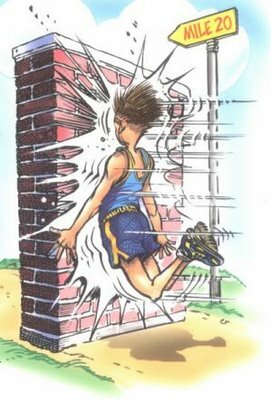 Every Christian leader hits ministry walls. Some hit them every 5 years. Others hit them more frequently and therefore more often. The “wall hit frequency” has a lot to do with the leader’s personality type, ministry position and stage of life the leader is in. Personally, when I was in local church leadership, I hit the ministry wall about every 18 months. Now that I’m serving as a prof and doing church ministry part-time, I have found the wall comes about less frequently, about every 36 months. What does the ministry wall look like? From what I’ve experience and discussed with many others is that it is a sense of disgruntled feelings and angst toward the ministry God has called you to lead. The leader succumbs to feelings of insecurity, fatigue and failure. They devalue the investment of energy and time at their present post and wonder what else could be out there. It is usually accompanied by a sense of anger toward God and detachment from essential ministry relationships. You walk around in a funk, not joyful about serving and not content with God’s provision. So how do you breakthrough the ministry wall? One word: time. You give it time. You remain faithful. You persevere. You re-establish your commitment to that ministry post. You seek counsel from trusted advisers about your feelings and insecurities, but you don’t quit. You don’t give up. It will only last for a while. On the other side of the ministry wall there is usually a burst of creativity and vitality. Once you have a breakthrough you become invigorated to try new things and reinvest in relationships. You are more passionate and determined to lead. But always be ready, another ministry wall is probably coming soon. This was an excellent short post. I also enjoyed the picture attached. It’s good to be reminded that this is going to happen and how to navigate it. Thanks for your encouragement through blogging. Thanks for the wisdom Shane! I feel like I’m in a small “funk” right now and this was very encouraging to me! If you hit a wall somewhere around the second week in January, it’s probably not a funk, but rather a routine taxi ride. Hi Shane! Thank you so much for this post! I was beginning to wonder what was wrong with me. I guess I had never thought of this before. I was beginning to think, should I quit? What is God doing here? I will wait and persevere. Thanks so much!